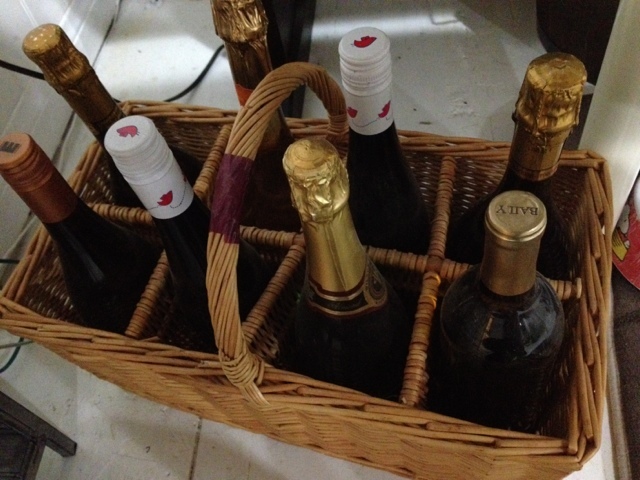 I was really sick of looking at our bottles of wine sitting in our wine basket on the floor and in wine boxes. So when there was a break in the rain this weekend, we hustled over to World Market to buy that wine rack we totally fell in love with last time we were there. It was 20% off and we had a coupon for an additional 25% off. It fits perfectly in front of the cabinet here. Yea, I know it’s messy but we’ll get around to it. It’s sitting on top of the disfigured floor from here. KT ripped up the layers of plywood to find that there is only more plywood underneath. I was going to put a big indoor plant right on top of it to hide this hiccup on our otherwise perfectly painted floors. 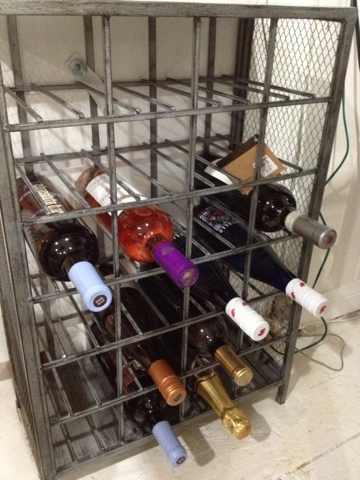 But this wine rack works just as well. 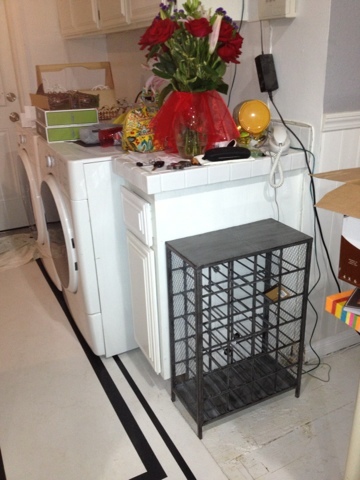 Oh, maybe we can throw that faux sheepskin under the rack to better hide the problem area. We picked it up from Ikea when we were shopping for our shag rug. I’ll run it by KT tonight! I was worried about Monster and Sugar knocking over the wine rack when they’re running around playing. And Sugar has a tail that can go into torpedo speed when she’s excited. So I made sure to secure it to the side of the cabinet. It’s nice and steady now. Wah-lah! 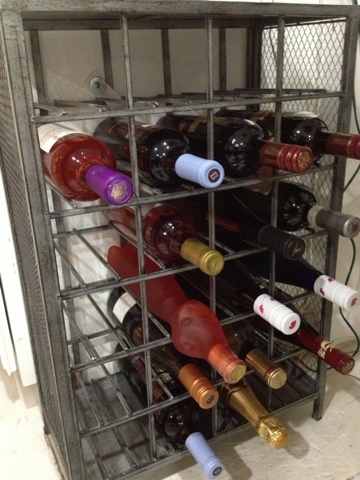 Feels good to finally have wine stored properly. This entry was posted in Living Room, Weekly Progress.